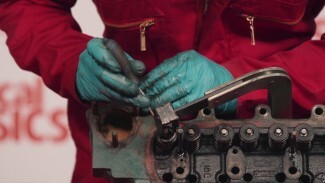 When tightening and untightening cylinder head nuts, work out from the centre in a spiral to ensure minimal stress is put on the cylinder head. 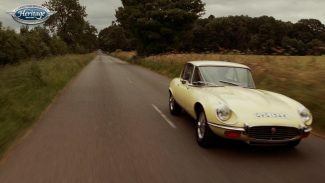 Lapping valves ensures a perfect seal and can help with running significantly. 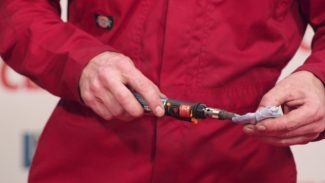 Be careful not to get stray grinding paste into valve guides. 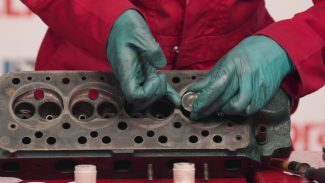 Get more helpful hints with our course, How To Remove, Revive And Decoke Your Engine Cylinder Head. Cardboard is far more malleable and easy to cut than steel. 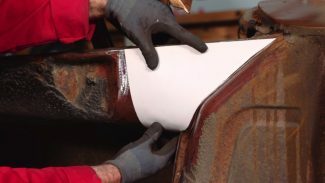 An accurate cardboard template is incredibly important in creating a repair patch, and Michael shows you how. For more tips and tricks, check out our course Simple Body Repairs. 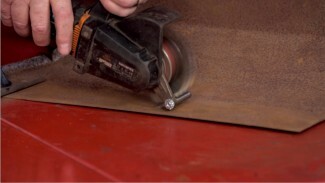 It is important to smear a little oil onto replacement sealing rubbers and not to over-tighten a new filter; not only to ensure a seal this time, but to help with future servicing. 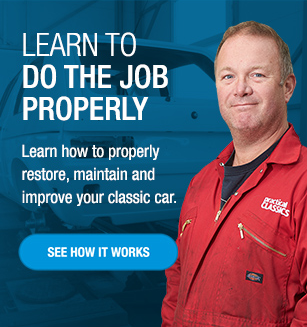 For more helpful tips, please visit our course Basic Engine Maintenance. 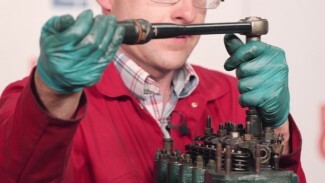 Valve collets can be fiddly to remove and replace, but Ed’s got the answer: a magnet on a screwdriver helps greatly. 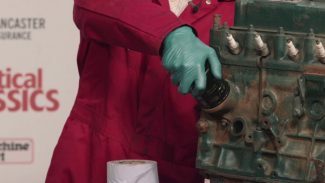 For more helpful tips, check out our course How To Remove, Revive And Decoke Your Engine Cylinder Head.